Random thoughts and comments on my daily life. This is a blog about everyday life. Food, gardening, photography, and nature. What you won't find are pictures of lots of people. Please leave a comment so I can pop over to your blog and visit! I have decided my elephant painting is done. I'm not entirely happy with it. 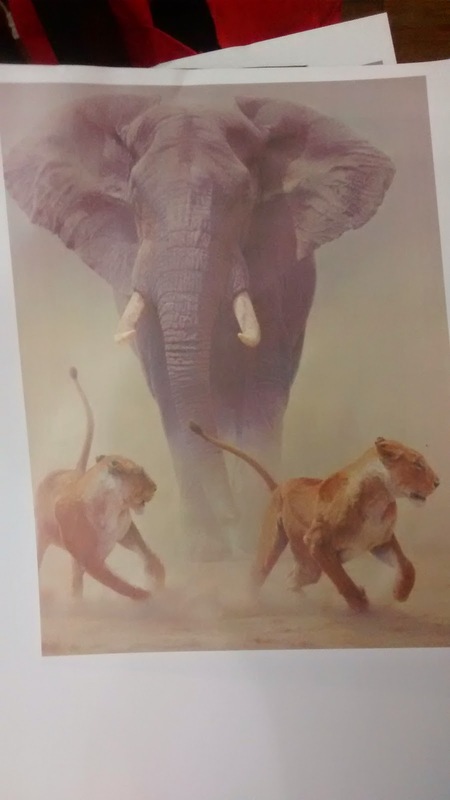 I like the elephant but not the lions so much. But I can't seem to make it better so I'm moving on to another painting. I have three more that are nearly finished. Here is my process. 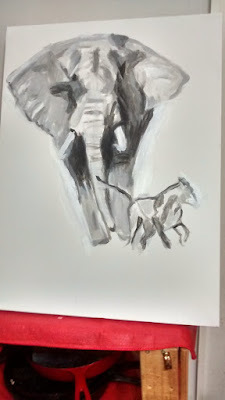 Like the old masters I start with a contrast painting that is a simple drawing of light and dark. I learned from this painting that I should incorporate a contour drawing into that. I think that will help me with composition and depth. I had just finished reading Jodi Picoult's book Leaving Time. If you have read her books you will know she picks a societal problem and spins a tale around that. In this book it was elephants. 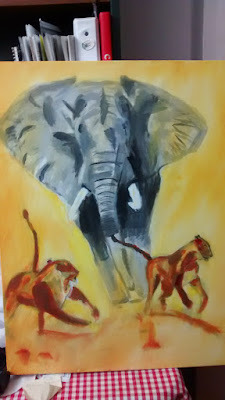 They are being slaughtered for their tusks and if this isn't stopped they will be extinct in the not so distant future. 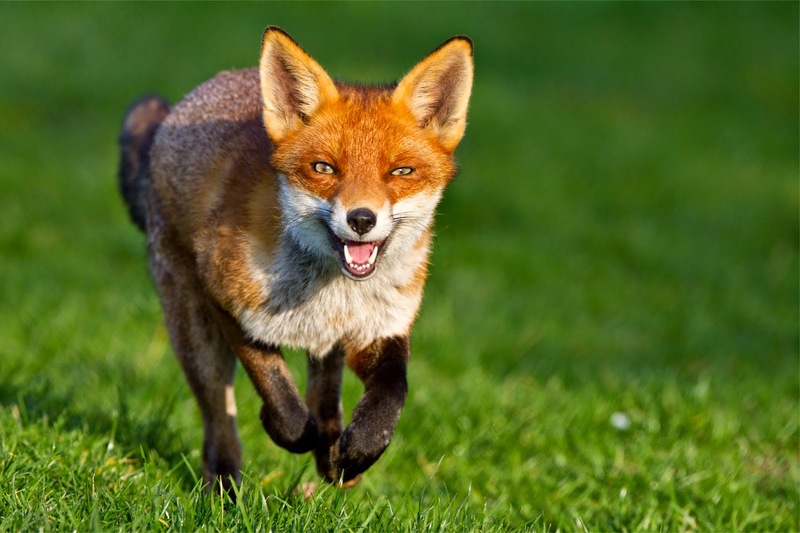 They are fabulous creatures that have many wonderful traits. Yes, they really do never forget. And as mothers they put humans to shame. I really enjoyed painting this. 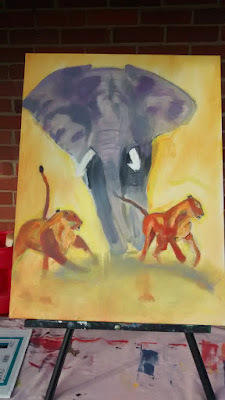 Perhaps my fascination with the elephant is why I neglected my lions? The painting above took about two hours. I knew at this point I had a painting that would look good simply because the photograph was a good one. After adding the second lion I added color. I actually like these lions better than the ones in the finished product. 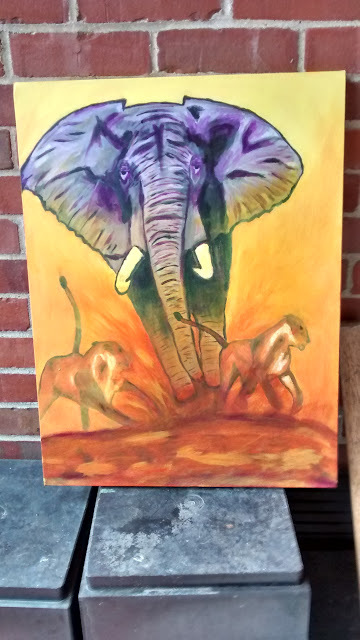 I used a glazing medium to get some purple on the elephant. I don't know why but just about everyone agrees that purple and elephants go together. The elephant is floating. I struggle with this for awhile and never really solve the problem. I gave up! The elephant looks kinda sad but I do like the eyes. I hope to learn how to portray emotion in my future paintings. I missed the mark here but that's okay. It is all a process. Once I just about complete a painting I start a new one. I never know how long it will take as I get stuck one a painting and it just takes time to get unstuck and move on. If it isn't enjoyable then that is reflected in the painting. This is the first night I started it. Below is the reference photo. Above I added the second lion then added some color. Below I used a glaze for the first time! A glaze is just that, a thin coat of paint. 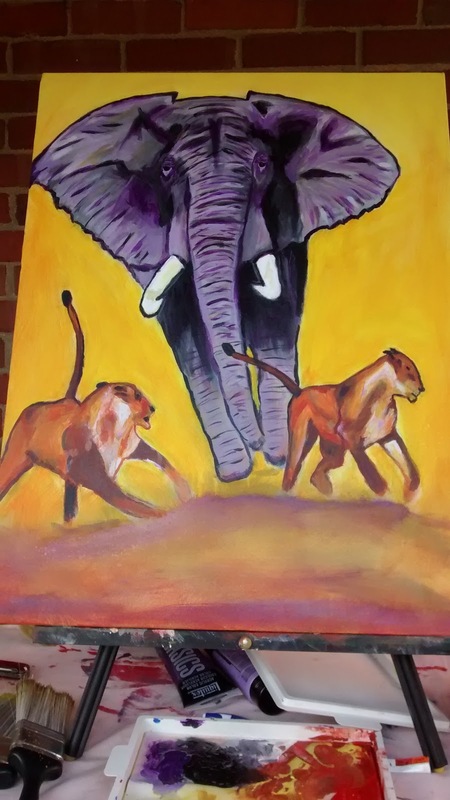 I wanted the purple in the background for the elephant. Last night I started with the above and I worked on the lions and started adding purple to the elephant. 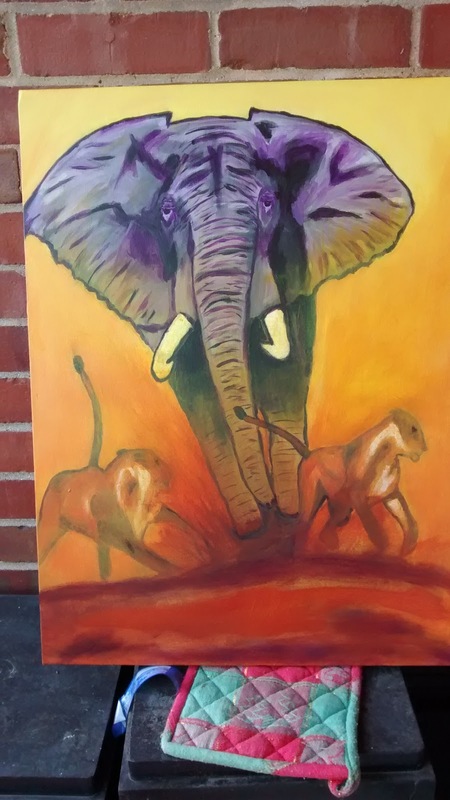 My teacher tells me the elephant looks like he is removed from the picture. When I put the "dust" on the picture I think that will cure the problem. There is still much to do but I KNOW what to do so it won't take as long. Running Fox has been finished for some time but I haven't posted him because I wasn't sure he was truly done. I thought maybe I might grab a brush and touch something up a bit that was bothering me. Turns out what bothered me was his eye. You know the one that isn't quite right. I decided to leave it alone because it is like the picture. The goal was to paint this picture and make it look like what it is. I think I succeeded. In the future I will not confine my creative inner self and will take liberties as I feel the need. 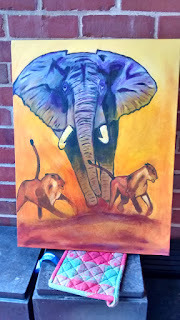 But for now I am happy to present to you my very first painting of an animal. I can already see several rookie mistakes in him! Moving forward I've learned to exaggerate the contours to make the painting come alive and give depth. His face would not look so flat if I would add some lines on the side of his snout. Wait! I said I was finished! 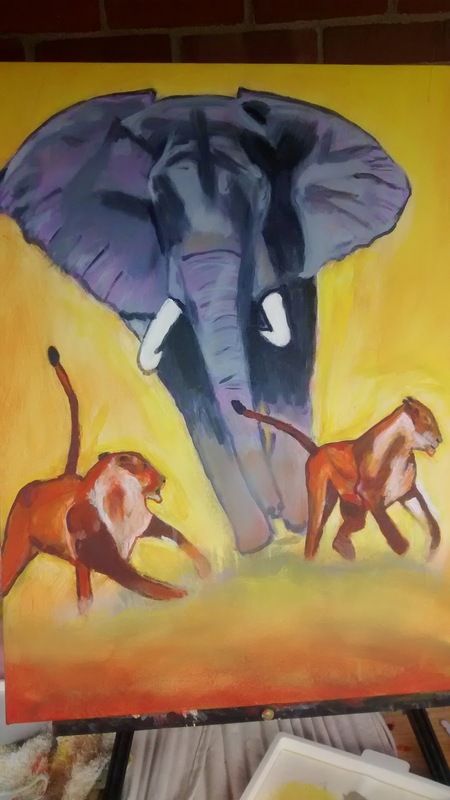 Next up are portraits of my neighbors dogs and an elephant charging two lions. I'm having fun! I am sure everyone is familiar with that quote from Shakespeare's Romeo and Juliet. I was just thinking about when I started this blog a couple of years or so back. I had become bored with my job and was craving a creative outlet. Writing has always come easy to me so I thought I would share my writings with the world via Blogger. Perhaps I should rename my blog "My Life as a Painter". I hesitate to call myself an artist. Well, yet anyway. I'm a fledgeling. I like that. This summer when I painted it was an escape. One afternoon I picked up a brush and made strokes that felt good. I made more strokes and more. I inadvertently left the painting out in the yard next to the gravel driveway. That night it rained. The paint had bubbled up in places and collected gravel dust in the ridges left behind. Mother Nature decided to help me out. I have always loved abstracts. Have a great day. Create something. While I was painting my porch I stumbled upon some dollar samples of pastel paints and I decided to go all Jackson Pollack on my black mailbox. The mailbox had been kicked around the bottom of the steps so my postal carrier didn't have to skate up the icy steps in the winter. He'd suffered some scrapes and the loss of a handle so I gave him a new look. I, personally, wanted to put some crimson on the last layer but alas, my better half said nope. It's done. My inner Jackson Pollack, however, was not done. I grabbed my latex house paints and went to town on a piece of plywood. I dripped with a random stick I picked up. There is something delicious about dripping layers of paint and watching the randomness blend. I'm particularly fond of reds and greens. One of my painting classmates doesn't use yellow and I'm constantly telling her to add yellow! There is something I really like about action painting. Next spring I'd like to get out in the back yard with a tall easel and attack a large piece of plywood with color! It is exhilarating spontaneous creativity and it makes me joyous. It is the kind of joy I remember experiencing as a child playing and not knowing what might happen next. I hate being photographed. I love fresh okra. I hate being rushed. I love crisp fall days that make my nose red.